Four new pieces of clothing on test, which should be available to buy early next year. 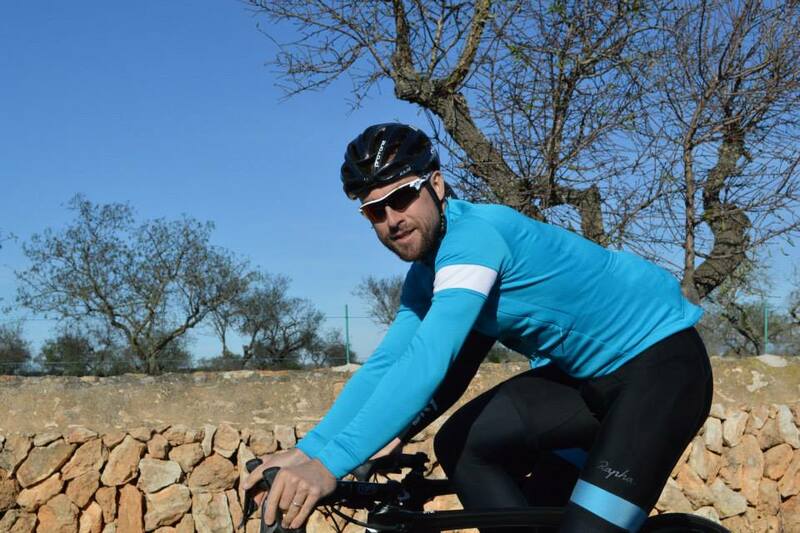 After Tinkoff-Saxo unveiled their new camouflage training kit last week, Team Sky have been pictured riding a new range of Rapha training kit as they got together at their pre-season training camp in Mallorca. From what we could see there were four main pieces on show. The first, as modelled by Geraint Thomas, seems to be a short sleeve variation of one of Rapha’s merino wool jerseys, probably not ticking all the boxes when it comes to marginal gains, but certainly scoring full points when it comes to style. 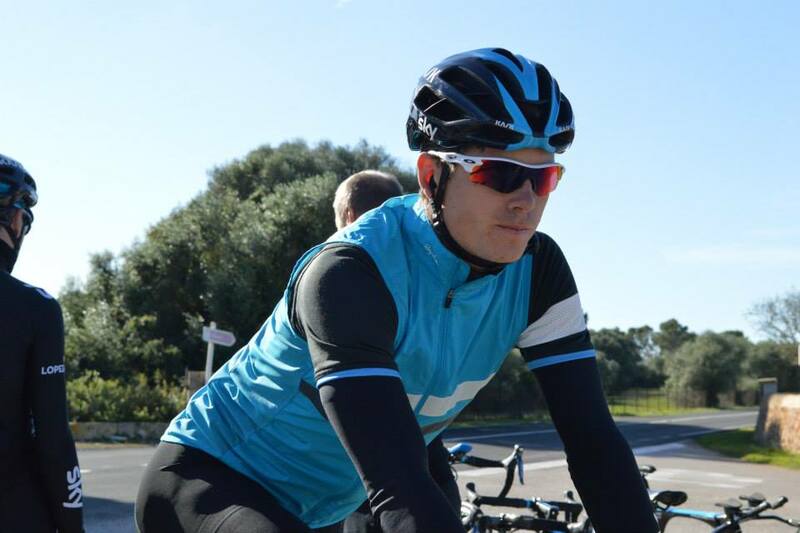 The white top half is seperated from the black bottom half with a thin piece of fabric in what can probably be called “Team Sky blue”, with only a quarter zip for cooling. A second jersey, spotted on the back of houswives’ favourite Bernie Eisel, also seems to be similar to some of Rapha’s existing clothing, namely the Winter Jersey which currently retails at £160. Again in Team Sky blue, the jersey has Rapha’s trademark white band around the left bicep, with two or three rear pockets and cooling vents at the front. 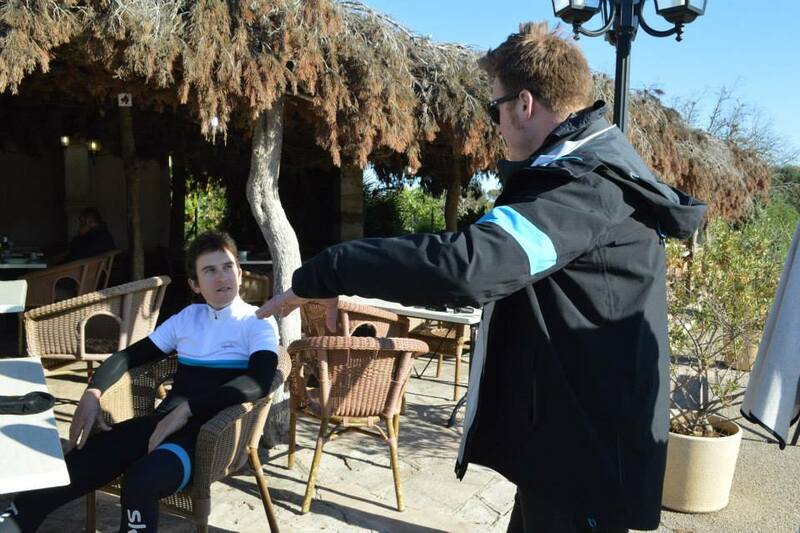 The final two pieces of the new training kit were modelled by Ben Swift, and look to be a Sky-themed versions of the Brevet Jersey and Gilet. The standard standard garments, with a long sleeve jersey, are currently available as a pair for £195, but Swift seems to have been putting a new short sleeve version to the test. Eisel and Swift fully kitted out in the new range. Details are thin on the ground for the moment, but Rapha promise the new training range will be available early next year.